Ultra-Rare Syndrome Celebrates Its Day in the Spotlight — Bohring-Opitz Syndrome Foundation, Inc.
Orlando, Florida (April 3, 2017) This year marks the third annual Bohring-Opitz Syndrome (BOS) Awareness Day. 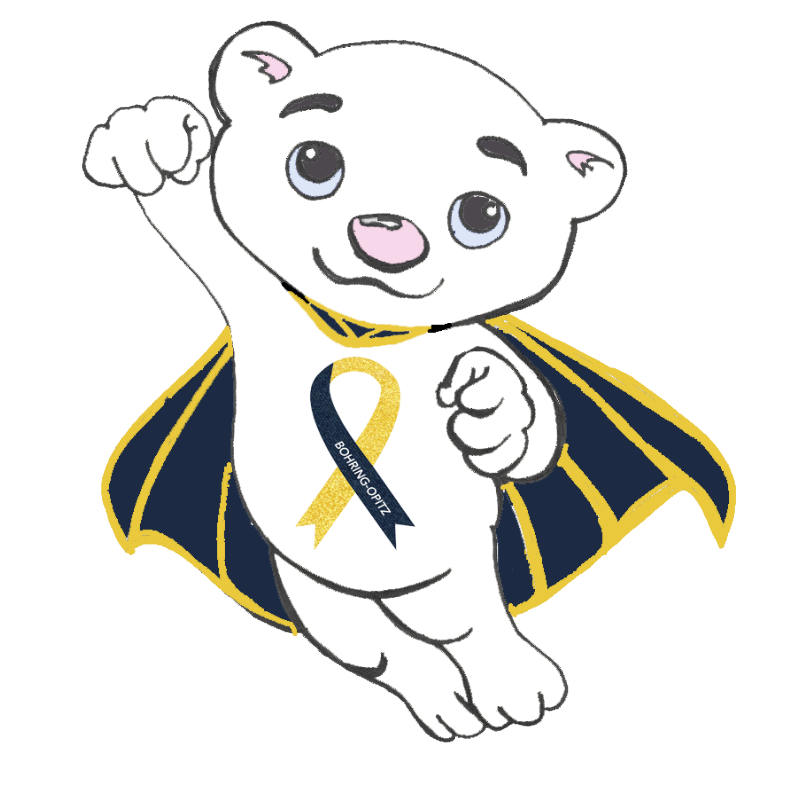 On April 6th, people from around the world will shine the spotlight on this rare disorder by wearing denim and gold, along with other awareness events. BOS is an ultra-rare genetic syndrome with less than 60 documented cases in medical literature as of 2015. This number is now estimated to be closer to 85 among parent advocacy groups, as new diagnoses are being made through more advanced and available genetic testing. It wasn’t until 2011 that researchers were able to identify BOS was a result of a mutation on the ASXL1 gene. Some of the clinical features of BOS include distinct facial features, feeding difficulties, postnatal growth retardation, abnormal neurodevelopment, sleep apnea, gastrointestinal issues (particularly cyclic vomiting), seizures, and intellectual disabilities. Hypotonia (low muscle tone) and poor motor control are also common, and while many are in wheelchairs or require other assisted mobility, some are independently walking. Despite the many challenges those with BOS face, they have a happy demeanor and often learn to adapt to the world around them. Some are verbal, while others have learned to use communication devices or other adaptive methods to communicate. The BOS community is very passionate and dedicated to educate others about the ultra-rare syndrome. The hope is to increase the likelihood of more accurate diagnoses, gain the attention of researchers, and ultimately find potential treatments and best practices for BOS. Parents have taken an active role by forming the BOS Foundation, Inc., which includes a medical advisory board and built a very active support group on Facebook with families from all over the world. There is also a parent-run website that serves as a worldwide exchange of information and awareness on BOS. All of these combined efforts have brought this ultra-rare syndrome to the attention of many within the rare disease and medical communities. This is the third year of celebration for BOS Awareness Day, and marks an exciting year of international attention to the syndrome. The first annual BOS Family meet-up was held in Philadelphia with fourteen families in attendance, the Kuluut documentary on BOS premiered in the Netherlands, BOS advocates were on Capitol Hill and attended summits and conferences throughout the year, and BOS families were featured on social media and a global art exhibit on Rare Disease. To learn more about BOS and these exciting milestones, please visit www.bos-foundation.org. Additional information on BOS can also be found here: www.bohring-opitz.org.